Remember the movie August Rush? It has one of my favorite quotes: “Music is all around us. 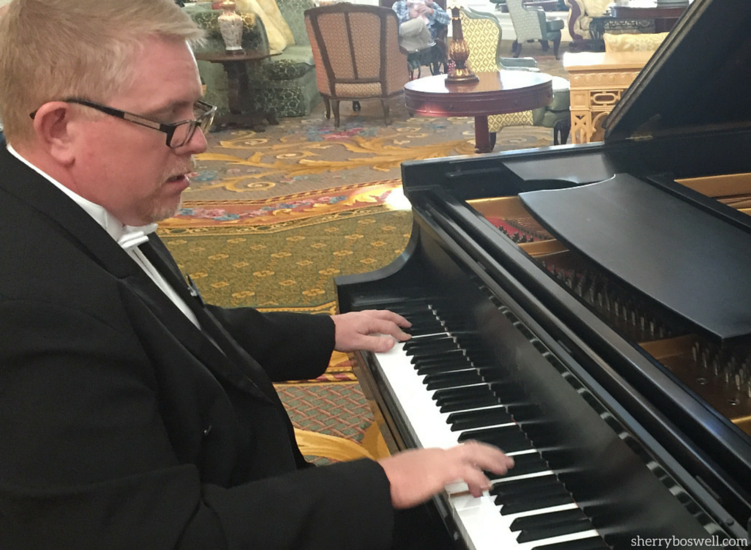 All you have to do is listen.” This becomes reality at Disney’s Grand Floridian Resort & Spa at Walt Disney World. 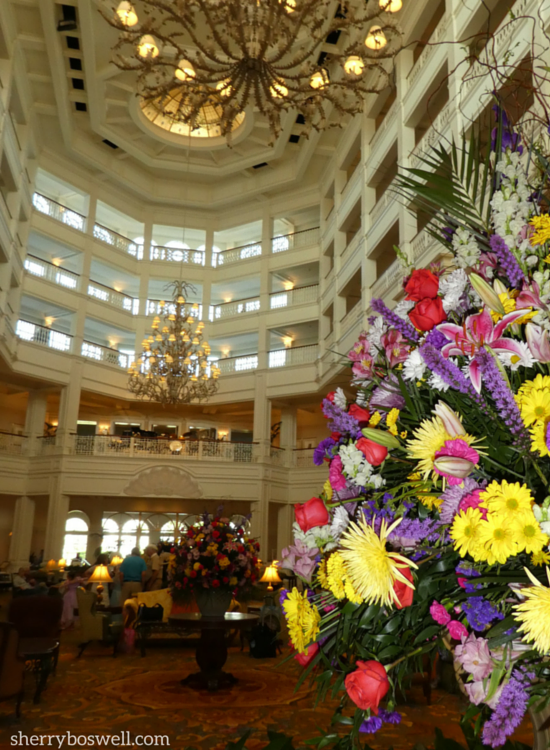 From laughing children to runners’ feet hitting the running trail to the beautiful strains of music in the multistory lobby, the Grand Floridian is a sensory symphony. Sounds beckon you to listen and stay a while. 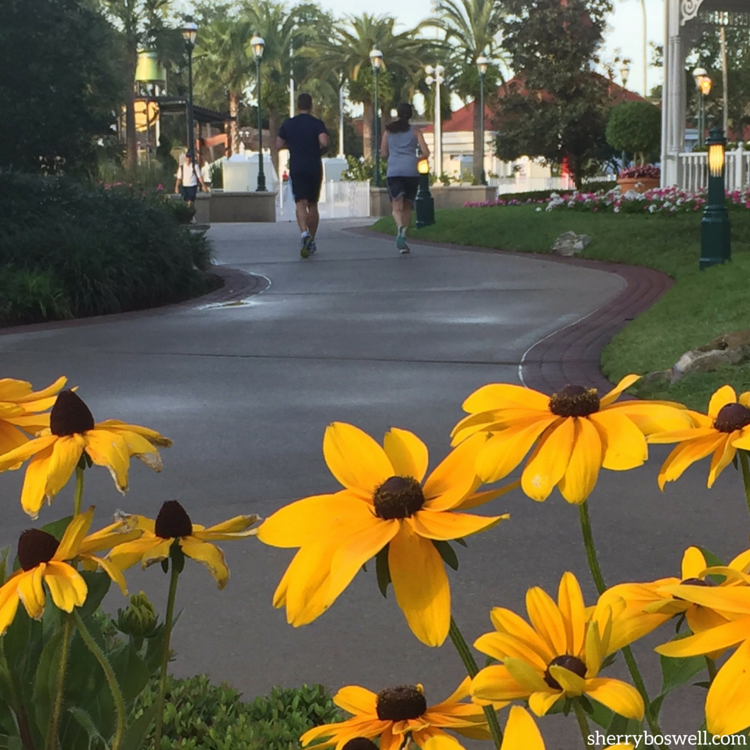 Let’s take a listening stroll together around the Grand Floridian to give you a sense of all that this Disney deluxe resort has to offer. 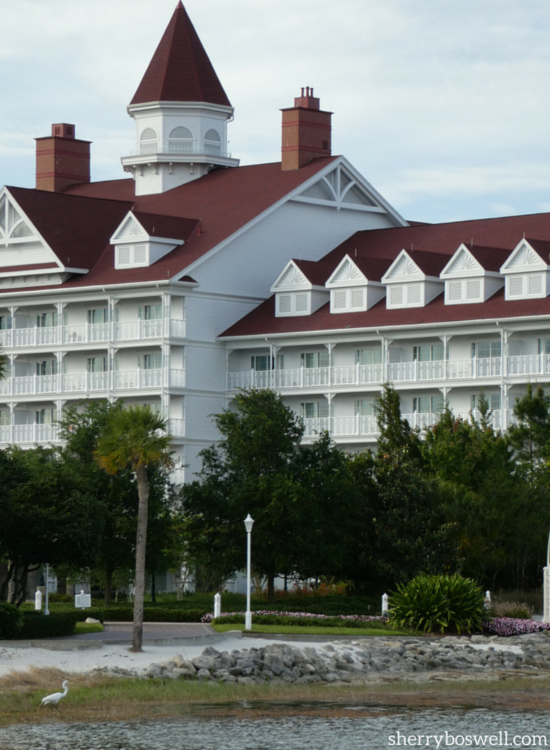 The Grand Floridian Resort & Spa at Walt Disney World is stunning in its luxury, its understated elegance, and it Victorian charm. 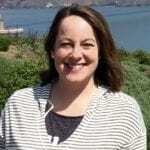 But that is relying primarily on sight. Don’t get me wrong, I use my eyesight to soak in all the beauty and special details that abound at a Disney deluxe resort like the Grand Floridian. But what if I didn’t have my eyesight? Ok, so I’m not going to go to the extreme and exclude any photos in this post–that would be crazy! You would be missing out on the scale and grandeur of the Grand Floridian if I did that. But work with me on this and let’s play a game. “Listen. Can you hear it? The music. I can hear it everywhere. In the wind… in the air… in the light. It’s all around us. All you have to do is open yourself up. All you have to do… is listen.” -August Rush. Yes, young August gets it. 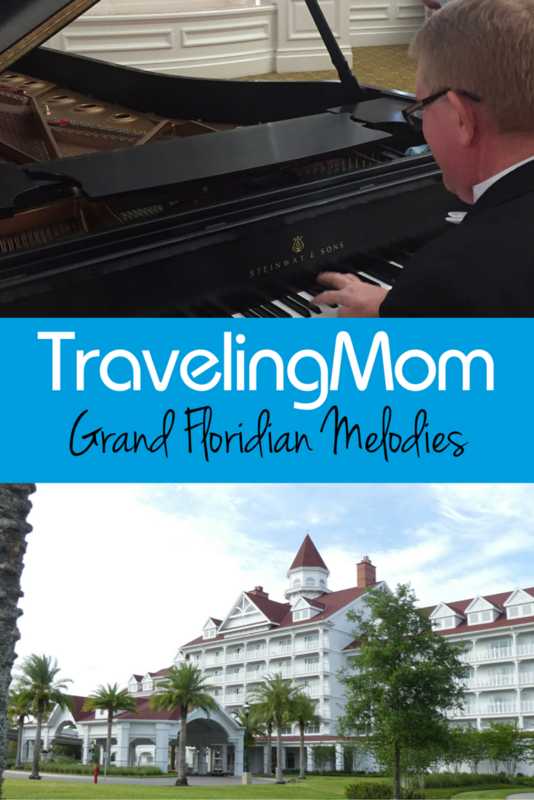 Music is everywhere at Disney, especially the Grand Floridian. From jazz standards by a big band to Disney tunes on a grand piano, you’ll be immersed in sounds that are uplifting and inspirational. 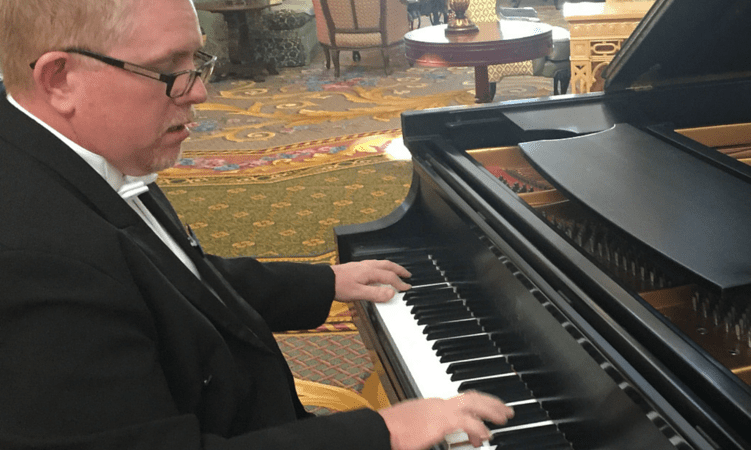 I met Jeff Phillips as he was tickling the ivories on the grand piano. A little girl dressed in her princess finest flitted around to his music. I peppered him with questions as he played with ease while talking to me. I was impressed. He didn’t exactly want to say how long he had been playing piano because I think it would reveal his age, but it was somewhere in the neighborhood of 30 plus years. Doubly impressed! 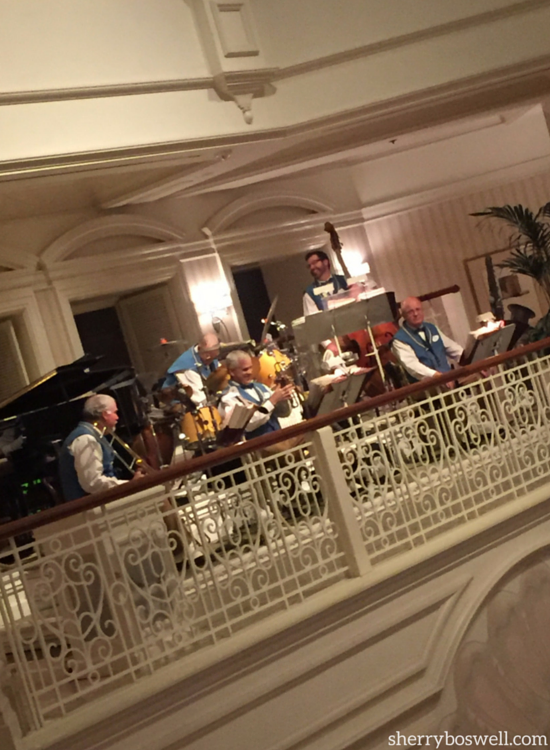 Jeff also is a member of the Grand Floridian Society Orchestra, made up of a merry assortment of clarinet, flute, trumpet, trombone, piano, bass and drums. They keep the lobby buzzing with lightness and smiles with Disney songs like “When You Wish Upon a Star” mixed with “Mos Eisley Cantina” and “When the Saints Go Marching In.” Variety and deep talent make this gig work. And best of all, it’s free to anyone who is lucky enough to be in the vicinity when they are performing. Speaking of the lobby, the echoes through this cavernous hall give you the sense that you are indeed someplace GRAND. Reverberations of conversations, squeals of delight from excited kids, and the rolling of carry on bags clicking on the marble floors make for a bustling area. 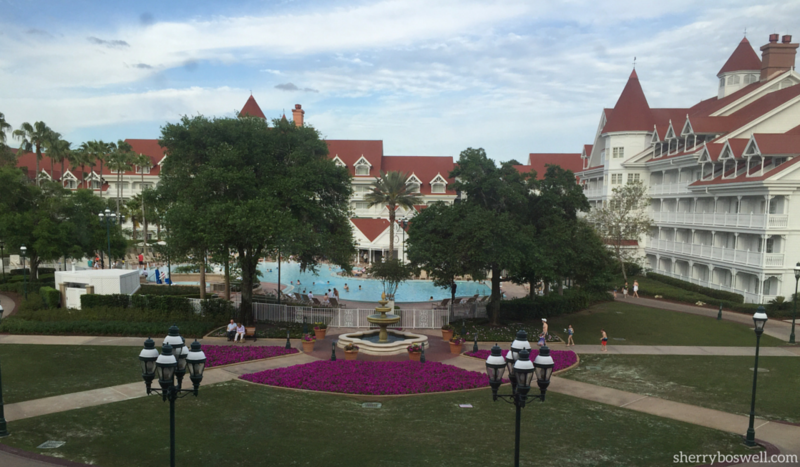 Water is an essential element at the Grand Floridian. 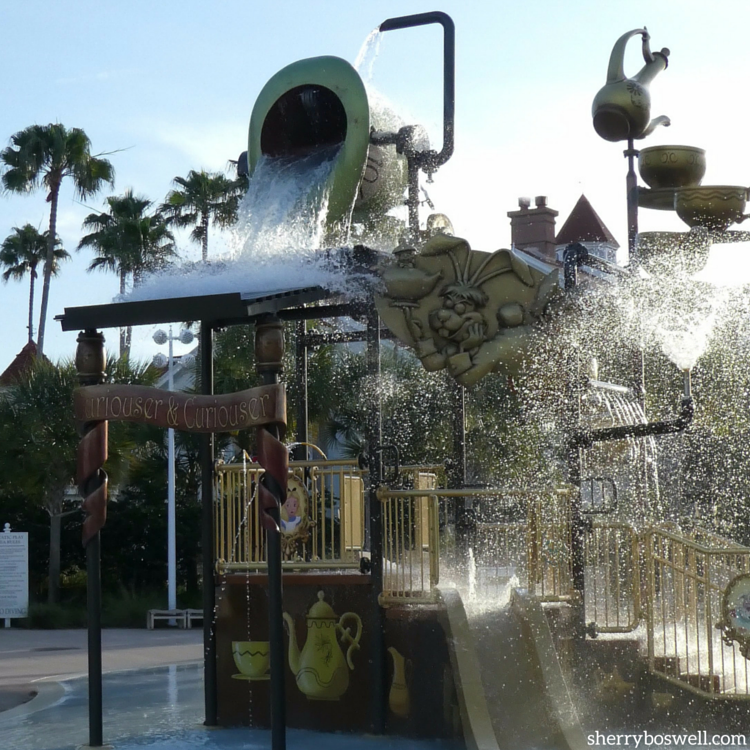 Whether it is lapping waves from the Seven Seas lagoon that neighbors the Grand Floridian or the sudden cascade that splashes down in the Beach Pool Water Play Area, prepare to hear gushing and gurgling (and to possibly get wet!). Sounds of laughter and games at the pool fill the air as kids joyfully slide down the water slide at the Beach Pool. Choose the Courtyard Pool if a bit less hustle and bustle is desired. It tends to be much quieter. The Alice in Wonderland themed splash zone features a giant sized Mad Hatter hat that fills to the brim with water before flowing over onto the eager kiddos scurrying underneath. Listen for the whoosh of the monorail as it glides effortlessly to the Grand Floridian Monorail Station and departs for the Magic Kingdom. 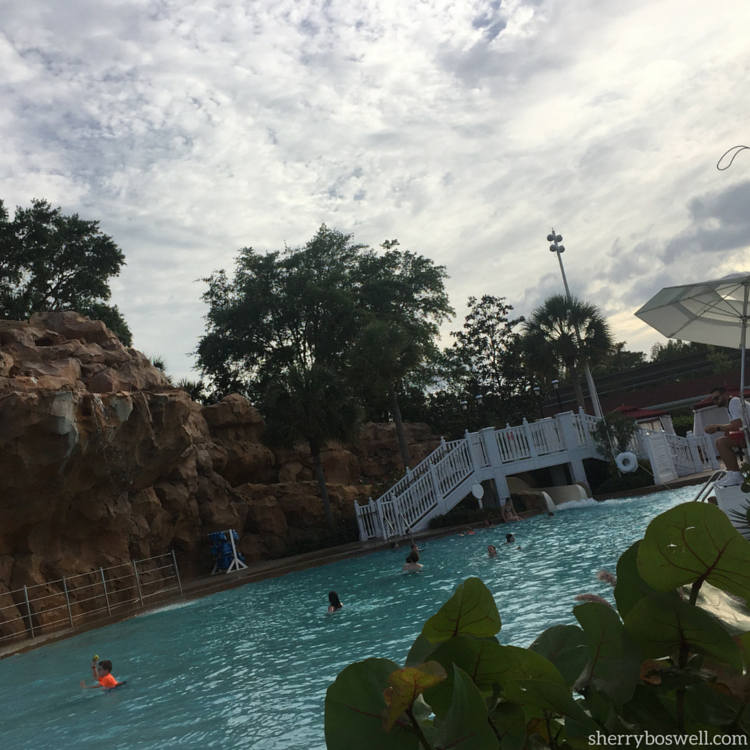 The rustling palm trees sway in the gentle breeze as you walk the meandering path from Disney’s Polynesian Village Resort back to the Grand Floridian grounds.after your Trader Sam’s Grog Grotto experience. Or perhaps you will hear the methodical footsteps as runners keep up with their fitness goals and take to the New Balance running trails. 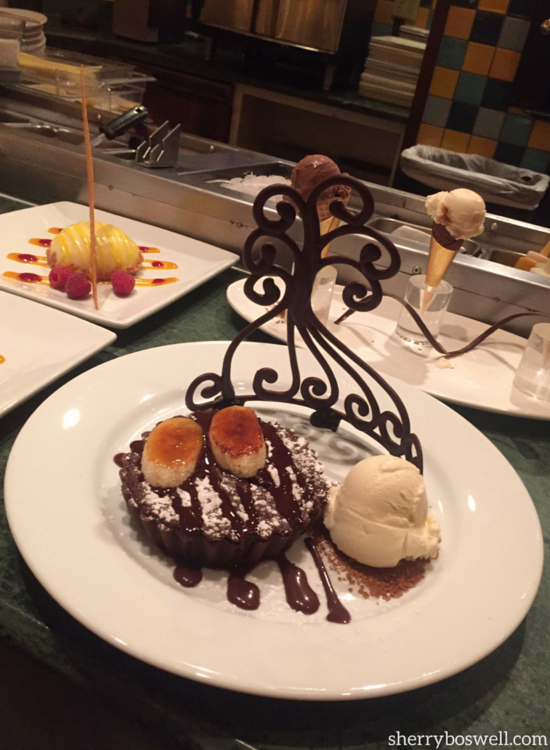 Or the celebratory clapping at Citricos as a birthday dessert surprises the diners and the clinking forks that rush to gobble up the delectable chocolate confection. Sounds can be powerful and make or break your vacation. On your next vacation, open your ears to what is around you. You may be surprised what you will hEAR. Such a lovely walk with you listening to the sounds of this resort. Delightful notion for a story. Thank you, Christine. I love that you always give such thoughtful feedback. You help inspire us all!